12/2 MC Health care facilities copper cable in orange color, has aluminum armor to withstand harsh environmental conditions. PVC/Nylon and THHN/THWN-2 insulation of this cable resists electrical leakage and offers protection against environmental threats. This 0.467-Inch OD cable has voltage rating of 600-Volts. 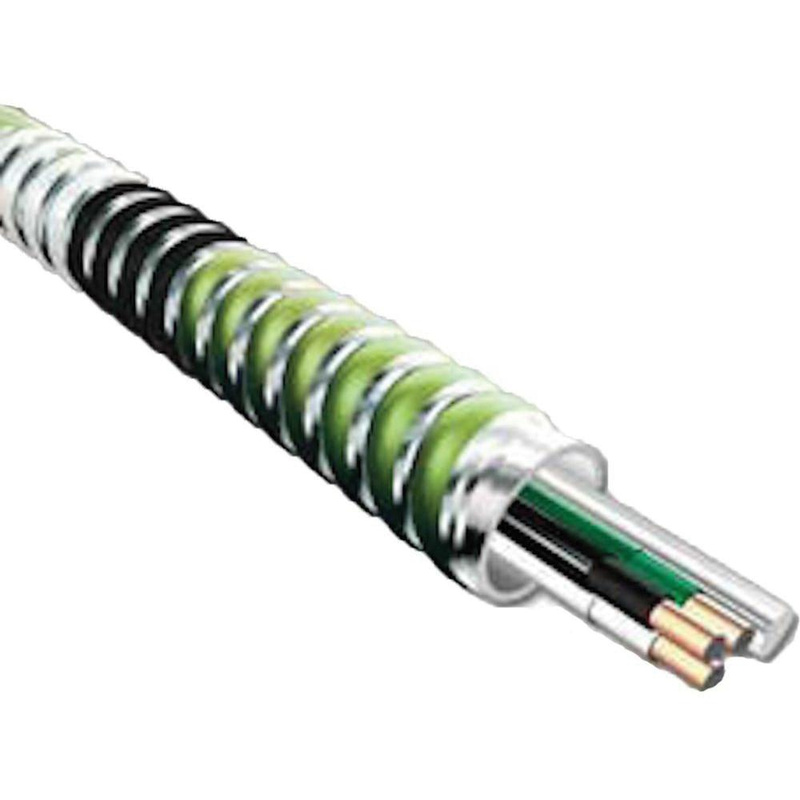 It withstands dry temperature rating of 90 deg C and wet temperature of 75 deg C. This 250-ft cable comes in a coil. It is suitable for use in branch, feeder and distribution circuits in commercial, industrial, institutional and multi-residential applications. Cable is UL listed.